Earn some instant style points with a pair of effortlessly cool cropped jeans. Edgy and on-trend, they are a wardrobe must-have. 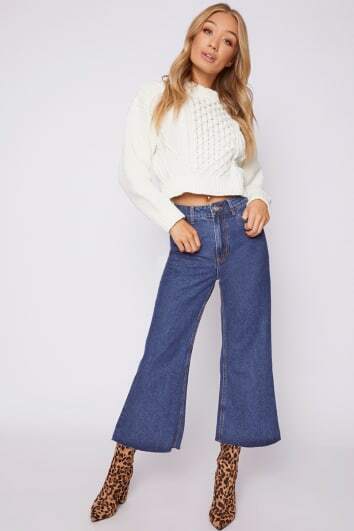 Treat yourself to a pair of dreamy denim culottes that flatter your figure and channel some serious 90s vibes. From faded denim to distressed, there’s something to suit every girl. 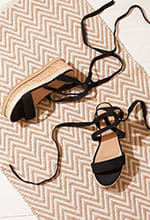 Take your ankle grazer jeans to new heights, with a pair of strappy heels and a luxe lace bralet or wear them during the day with a cute tee and statement trainers. Whether you’re kicking back or heading out, elevate your look with a pair of leg-lengthening crop jeans. 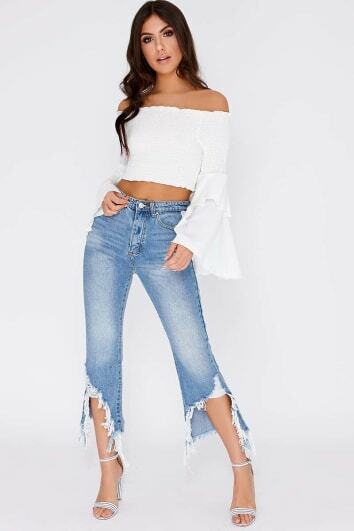 Fans of ripped hem, ankle grazer jeans will rock our new jeans shape - Mavric. Mavric is a classic mom jean with a high waist fit and loose, relaxed fit. Take a look at our denim fit guide to see the range.